When making a purchase online, always use a secure website. Secure websites use technology that encrypts data during transmission. Look for the little padlock in the address bar or a URL that begins with “https” to confirm you are on a secure website. While holiday shopping, it’s best to avoid shopping on free or public WiFi. There is no way of knowing how these networks are tracking or storing your information. It’s also possible for hackers to set up fake hotspots with the intention of stealing information. We recommend waiting until you get home so you can connect to a secure, encrypted WiFi network. Using your mother’s maiden name or your pet’s name as your password may help you remember it, but it also makes it easier for it to be guessed by hackers. A strong password typically has eight digits and a mix of uppercase and lowercase letters, numbers or other characters. Be sure to use different passwords across all your accounts and update them regularly. Only shop on websites that accept secure payments such as credit cards or PayPal, as they likely give you some sort of buyer protection in the event of a dispute. Consumers should be wary of any unsolicited emails or suspicious ads offering major discounts or promotions. Clicking these links can invite hackers into your computer, giving them access to your personal information. If you see a promotion you are interested in, it’s best to go to the website directly instead of clicking on the link, as counterfeit versions of trusted merchants are a common scam around the holiday season. 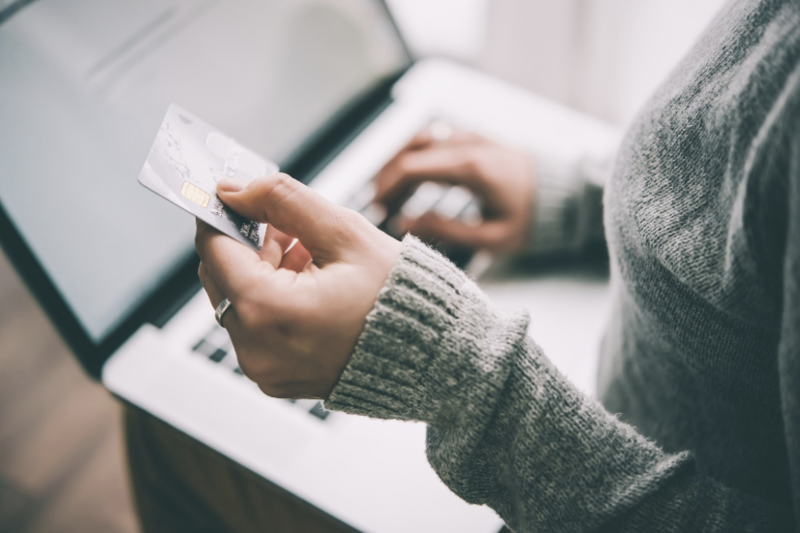 If you’re doing a lot of online shopping during the holidays, you may be tempted to save your credit card information to make the check out process more convenient. However, we recommend taking the extra minute to enter your information every time, as companies could be targeted by cyber attacks. In the event of a cyber incident, your private information could be lifted from a company’s database. Similar to phishing scams, there are counterfeit mobile apps that have been made to look like legitimate merchants. However, these apps have been known to steal private information or infect your mobile device. When downloading apps, be sure they’re legitimate by getting it directly from the company’s official website. If you’re downloading an app directly from the app store, be sure to read reviews and ratings from other users. Do you remember the last time you updated your security software? Having the most up-to-date version of security software can help protect you and your devices from being hacked. You should install security software on all of your devices, including your phone, laptop, computer, and tablet. It’s a good idea to regularly review your account transactions to see if there is anything questionable. Be sure to follow up with your bank if you believe any transactions were made by someone other than yourself. Fake websites are a problem all year round, but certainly become more common during the holiday season. Before shopping on an unfamiliar site, do your homework. Look up reviews for the site and visit any social media links to verify its legitimacy. The holidays should be a time filled with family, friends, and fun and we want to keep it that way. So while you’re shopping for everyone on your list this year, be sure to protect your private information with these online shopping tips. If you have more questions about protecting your information or ways to safely enjoy the holiday season, stay up-to-date by following us on Facebook, Twitter, and LinkedIn.